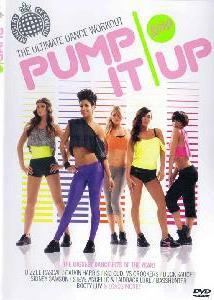 Lataa: etukansi takakansi koko kansi Ministry Of Sounds number 1 selling fitness series returns with a brand new workout for 2010 - Pump It Up Powermix. 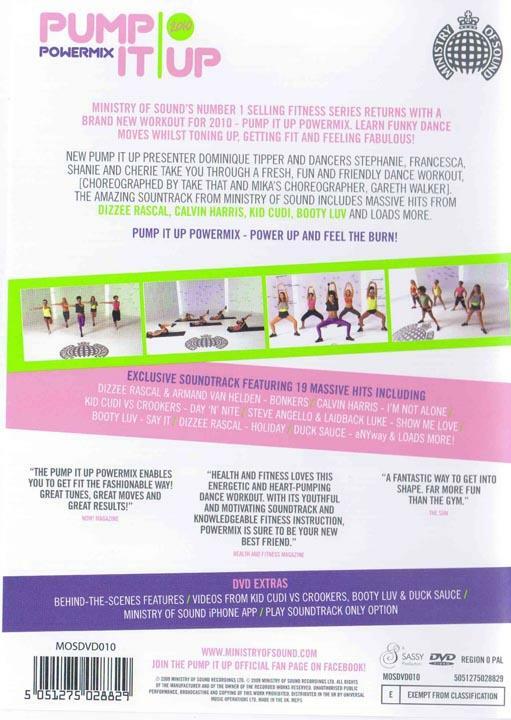 Learn Funky dance moves whilst toning up, getting fit and feeling fabulous. New Pump It Up presenter Dominique Tipper and dancers Stephanie, Francesca, Shanie and Cherie take you through a fresh, fun and friendly dance workout choreographed by Take That and Mikas choreographer Gareth Walker. 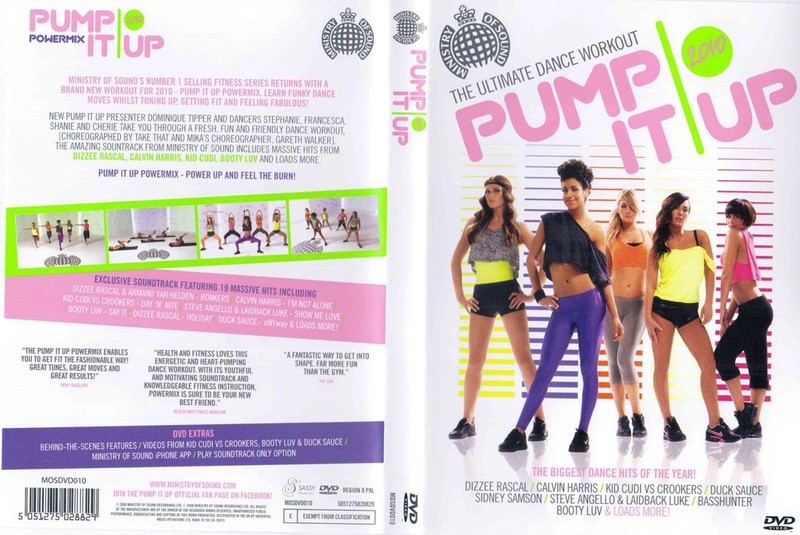 The amazing soundtrack includes massive hits from Dizze Rascal, Calvin Harris, Kid Cudi, Booty Luv and loads more.